Will the World Trade Organization turn over global commerce to the likes of Amazon and Ali Baba? As the world’s business elite concluded the World Economic Forum in Davos Switzerland last month, a group of more than 70 nations led by Australia, Japan, and Singapore announced that they will restart stalled e-commerce negotiations at the World Trade Organization. The WTO has been talking about e-commerce for nearly twenty years now, but important disagreements between countries have prevented a consensus on how to move forward. The fact that e-commerce was brought up again in Davos this year signaled an important opportunity for a new push to move these talks forward again. But what would WTO e-commerce rules mean for the world, and in the interest of whom will it be designed? Joining me now to discuss all of this is Deborah James. Deborah is the coordinator of the coalition that is titled Our World Is Not For Sale, and she’s based at the Center for Economic and Policy Research in Washington, DC. Deborah, good to have you with us. DEBORAH JAMES: Thanks for the invitation. SHARMINI PERIES: Deborah, I feel like we have you on every year just to discuss this topic, but it’s important because things are moving forward. Let’s start with what’s at stake in terms of these discussions, negotiations. Give us a brief rundown on the most important proposed rules and what they mean for consumers and for our developing countries. DEBORAH JAMES: Certainly. Well, there is an effort in the World Trade Organization to launch new negotiations that are being called e-commerce, but really have to do with the future economy, which will be digital. So in the future, all aspects of economic transactions will have a digital component. And the big tech companies are trying to get in place a set of rules that will benefit them. They actually came up with these rules, Google and Amazon and Facebook and Microsoft have an industry association, they propose them to the U.S. Trade Representative and the U.S. has been proposing these ever since. Now, there’s a couple of other really important provisions that are important to know about. One of them is that there are five different proposals to make it so that these global tech companies would not have to pay taxes. We know this is part of their business model, right, is non-payment of taxes. What’s the next part of their business model? Being able to exploit workers. So there’s a whole deregulation aspect, handcuffing governments from being able to regulate in the interest of workers and in the interest of consumers. There’s also a whole set of proposals around banning governments from being able to use the presence of a transnational in their country to benefit the local economy. So in development policy, we have something that are called performance requirements. And that means that when a TNC comes into a developing country, you want the developing country to be able to set some rules, to say, “Oh, we want you to hire local workers,” or “we want you to use local inputs in ways that will benefit the local economy.” And that whole set of performance requirements would be banned under these proposals. So you see it’s really a confluence of two basic ideas. One is for these corporations to have new rights to operate in markets, and the other set of rules is really around handcuffing governments from regulating in the public interest, be it around making sure that they pay taxes, around making sure that they’re able to have consumer regulation, able to guarantee decent jobs and decent labor conditions for the workers, and just being able to regulate in the public interest in general. So this is sort of the type of rules that are being proposed that would really shift global power in favor of the big corporations and away from workers, consumers and developing countries in general. 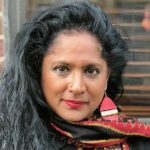 SHARMINI PERIES: Deborah, last time we had you on, shortly before the 2017 WTO ministerial meeting that took place in Buenos Aires when the conference organizers revoked the credentials for so many NGOs, if you remember that, what happened at that meeting and how have these negotiations proceeded? Were there gains made by whoever the NGOs, the few that were there? DEBORAH JAMES: So there were. We actually worked closely with a lot of the developing countries during the ministerial, and the developing countries actually put up a tremendous amount of resistance. We thought all year that for sure there was going to be the launch of new negotiations, that the membership of the WTO would agree to that at the December 2017 ministerial. And it was amazing because by then, the African group in particular had really dedicated themselves to studying the issue. They weren’t just to let the negotiations be launched without investigating it. And they really came to the conclusion that these proposed negotiations were antithetical to their development policy space and that they really needed to ensure that they had the policy space domestically to start digital industrialization policy, so using technology for their own development instead of just handing away their most valuable resource to global tech giants based in the United States. So they actually opposed the launch of new negotiations on e-commerce on digital trade in the WTO. So they weren’t launched. So the ministerial concluded without a mandate for launching those new negotiations. And a group of countries signed a declaration saying that they wanted to have negotiations on it, we knew that before, but they signed a joint declaration stating their intention to meet about it in the future. So in 2018 then, they met about thirteen times, about once a month. They’ve been coming up with new proposals about what they’d like to see in future, potential e-commerce negotiations in the WTO, but there is no mandate to have negotiations on e-commerce, there’s only a mandate to discuss it. And we know that discussing and negotiating are two different things. So there is no mandate in the WTO now to negotiate rules on e-commerce. So what happened just now at the World Economic Forum is that a group of 76 countries, majority the ones that had signed the declaration from December 2017, declared their intention to start negotiating. So they didn’t actually say that they started negotiating yet, they just said that they want to, which is kind of similar to what they have been doing all last year. But they will actually probably start negotiations in March. It’s not clear, the legal status, however, because the WTO does not have a mandate to discuss this and there is a strong opposition by the African group, as I mentioned, which represents 46 countries in the WTO. There’s also a lot of opposition by certain Latin American countries, as well as India and some other big countries. So they could potentially do an agreement amongst themselves, we call that a plurilateral, where just a group of like-minded countries make an agreement. But if they do that, they have to give the benefits of the agreement to all members, and that’s not something the U.S. is likely to do right now. So it’s very unclear on the legal status of how any sort of proposed agreement that these countries are going to negotiate on their own might actually be implemented. SHARMINI PERIES: Now, at world negotiating tables these days, whatever you come up with seems to be unbinding, as we know from the talks on climate change and the Paris Agreement and so on. But what is exactly the demands of civil society organizations here? We know that there is a lot of corporations and big e-commerce business around the table. NGOs are booming being prevented, sometimes curtailed from attending and being a part of those discussions. But at the end of the day, you represent an organization called Our World is Not For Sale. Now, under that auspices, what is it the civil society organizations are actively fighting for here? DEBORAH JAMES: Well, the main goal that we’ve had, that we’ve been successful in for the last two years, is actually to not have e-commerce digital trade, have negotiations towards binding rules in the WTO. We have a different vision for how the digital economy should develop. Organizations that are members of our network fight for things like consumer rights in the digital economy. We fight for labor rights in the digital economy, for decent working conditions, for worker’s data rights. We fight for open internet access, for example. We fight for technology transfer and for infrastructure development in developing countries to close the digital divide. We fight for digital industrialization policies. We fight for data protection and privacy rights. All of these things will never come out of a WTO agreement, and in fact they will all be constrained by a WTO agreement. 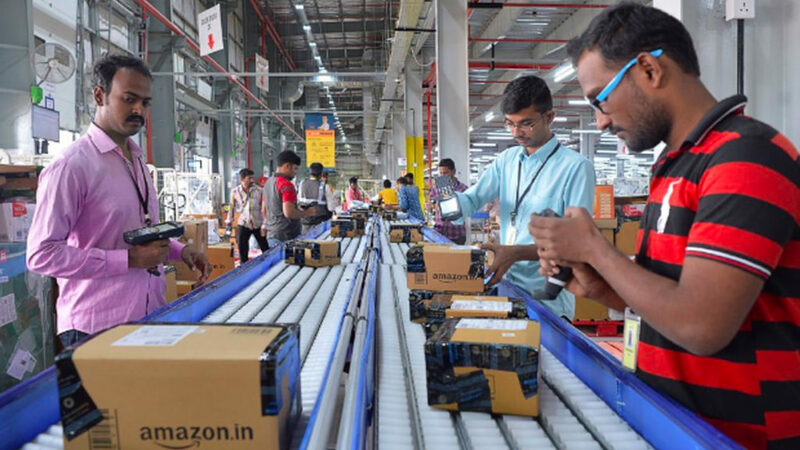 They will be nearly impossible to achieve if there is a WTO agreement on e-commerce. Because those types of provisions, they may be what–proponents of the e-commerce negotiations may say, “Oh you’ll get technology transfer, you’ll get this, you’ll get that, you’ll get money for infrastructure.” They might say that as a way to try to get developing countries to join the negotiations, but there is no mechanism in the WTO to actually fulfill any of those provisions or agreements or type of regulations. We also want antitrust policy, pro-competition policies to potentially break up some of the big Internet companies. That’s also not going to be in the WTO. So if we look at what is the agenda that civil society has as consumers, as workers just as people who care about the impacts of the digital sphere on our democracy, on consumer rights certainly, on workers in the gig economy, none of the solutions to what we want, internet access, can be found in the WTO. And in fact, having rules like this in the WTO that is inherently a pro-trade, pro-corporate institution, would make it very difficult for us to have these kind of fair taxation type of laws in the future. SHARMINI PERIES: All right, Deborah. Thank you so much for joining us. We packed in a lot in that interview and I look forward to having an ongoing conversation with you about what’s coming up, what’s on the agenda, what do we need to be aware of, what we as civil society organizations and communities are fighting for. But for now, I thank you for joining us. DEBORAH JAMES: Thank you so much. And you can check out our positions on ourworldisnotforsale.net.